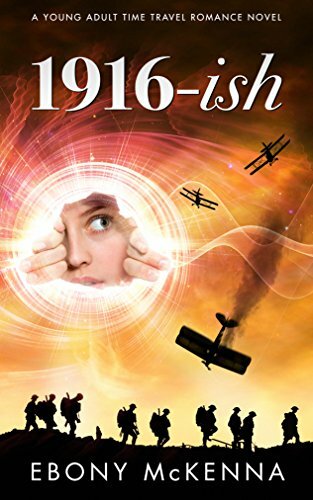 Romance, time travel and daring adventure await Australian student Ingrid Calloway as she journeys to France in this Young Adult alternate-history novel from Ebony McKenna. Little does Ingrid know that when she joins in a war-games re-enactment with her exchange brother and sister, it will turn into the real thing. Real guns, real dangers and real bullets put them in mortal peril in the midst of the First World War. Suddenly Ingrid’s fighting two battles at once; one for her personal safety and another against her growing attraction to Luc, who looks super-hot in uniform. Life in 1916 France soon takes a nasty turn – because the Eiffel Tower isn’t even there. They’re not just stuck in the past; they’re in a parallel world. How can they dodge the bullets of history when history won’t follow the script? The trio must accept that the only way back to safety is the way they came. They must face the terrible frontlines in a last ditch effort to get home. 1916-ish. History, with a twist.